Over the last few years the Adana Twins have found that their penchant for deep, dark, emotionally-charged music has fueled the evolution of their sound, from the house-inspired productions that thrust them into the limelight, into a more nuanced, techno-influenced vibe. 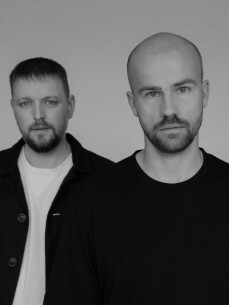 Both men grew up with techno, coming from Hamburg where the sound was so prevalent, it is part of their DNA and, as they have matured as artists, so too has their sound and outlook on life itself. Releases such as their ‘Jupiter’ EP on Watergate Records embody this emotive style, with two rousing cuts designed to get your hairs standing on end - a heady juxtaposition of euphoria, cosmic vibrations and melancholy rhythms. A sound that pervades throughout their current output. Outside the Watergate stable, they have also released with Solomun’s Diynamic label. Their track ‘Uncompromising’ was part of a various artists compilation on the influential label and it went down a storm, crushing clubs and festivals around the world. On top of this they’ve also remixed Who Made Who’s ‘I Don’t Know’ [EoM], Kaiserdisco's ‘Varuna’ [Tronic], and Nic Fanciulli's ‘After Time’ [Saved]. As they’ve made the transition into the world of emotive techno, the Adana Twins have also been channeling their love for electronic music into cultivating their own platform, TAU. The fledgling label marks a milestone in their musical lives, giving them the creative space to expand their sound while also discovering and nurturing new artists. It’s an exciting step for them both and they are reveling in the new venture. It’s a project that has filled both men with inspiration and a renewed hunger for music in all its aspects; digging, discovering, producing and playing - the guys are full of enthusiasm and genuine childlike excitement at what the future holds.